My tempo run this morning was a little slow, but I did get my six miles in. 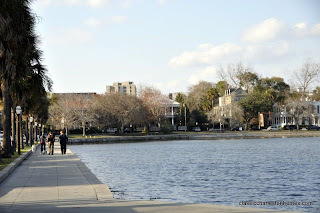 I ran downtown Charleston from MUSC around the Battery, up to Calhoun, around Colonial Lake and back. I made one change this morning for more energy. I usually eat a banana before I run, but this morning I changed it to oatmeal (one packet of instant oatmeal). I was hoping for a little more sustained energy. We started with a slow group run for the first mile (11:00). As I hit the Battery I increased the pace to 7:40 and was able to keep it at 7:55 for the next mile. After that I slowed to 8:10 and 8:20. I finished with a 9:30 cool down mile. I can tell I am slowing down as the temperature goes up, so I am going to have to figure that in when I do my afternoon runs.